While your attorney is addressing the legal aspects of your divorce, a Certified Divorce Financial Analyst is specifically trained to focus on the financial issues of divorce. His or her role is to provide financial education, analysis, and support throughout the divorce process. Our Certified Divorce Financial Analyst can provide the information and analysis needed to guide you through financial aspects of your divorce and help you proceed into the future with greater clarity and confidence. Is there a difference between a Certified Divorce Financial Analyst and a Divorce Planner? Does a Certified Divorce Financial Analyst replace a divorce attorney? No. A Certified Divorce Financial Analyst does not replace a divorce attorney. Instead, we work very closely with the divorce attorney to help evaluate different settlement options, conduct financial forecasts, and more. What is a divorce planning checklist? At Horizon Ridge Wealth Management, we use a checklist to help you and your attorney evaluate the emotional and financial impact of specific decisions. This checklist, along with our other processes, can help streamline conversations and save valuable time. This can lead to a savings in other areas. Over the years the term “Exit Planning” has been synonymous with the tasks needed to sell a business. While this is not completely inaccurate, there are so many other components that play a role in the exit planning process. The Exit Planning Institute describes exit planning as “good business strategy” which, conceptually, is also correct. However that is too “pie in the sky” for us at Horizon Ridge Wealth Management. We would define exit planning as the process of building enterprise value across four primary verticals in preparation for a future transition to family members, senior management, or a third party. Although the most crucial element to exit planning is to make sure the business owner is prepared at all times in case they experience one of the 5 Ds..
What are the 5 Ds...? All too often business owners tend to work “in” their business with day to day operations and have little time to work “on” their business. This usually translates into less time focused on contingency planning and expansion opportunities. To this end, the imbalance between “in” and “on” translates into many business owners being blindsided by five threats: disagreement, distress, divorce, disability, and death. From our experience a lack of planning to address these five areas can lead to significant problems within the owner’s family and can jeopardize the future of the business. It is how we, as business owners, approach, evaluate, and address these issues that can lead to accelerated business growth. When diagnosed correctly synergies within an organization are created, business partners become integral in business development, and the pursuit to maximize enterprise value becomes paramount. This is when value creation, or enhancement, can help with in the pursuit of accelerating growth within a firm. Through techniques like a Trigger Event analysis, 90 day sprint plans, and other tools a business owner can measure their progress with a great level of detail and transparency. Horizon Ridge Wealth Management has relationships with a wide range of clients, including professionals and business executives, retired and active duty military, widows, individuals, families, retirees, families with special needs children, families needing senior care guidance, and individuals seeking divorce related financial planning assistance. We best serve clients looking for clients seeking transparency, personalized planning, individualized investment strategies, and that value a long-term partnership. Our current minimum portfolio size is $500,000. However, minimum asset levels are not always imposed and we have a list of growing clients. We believe a client with less than our minimum may be best served in a flat fee, or hourly, planning relationship where we can offer investment recommendations for the client to implement on their own. How much does it cost to hold initial discovery meetings with your firm? There is no cost for our initial 45 minute discovery meeting. This meeting gives us the opportunity to get to know one another. Our desire is to come to a mutual agreement to the type of financial engagement before we begin assessing any fee. Do you conduct trades and custody my assets for me? Accounts at LPL Financial, an independent third party custodian, are held in your name. For investment accounts held through LPL Financial, we will serve as an Authorized Advisor to execute transactions on your behalf. For accounts held away from LPL Financial we will not serve as an Authorized Advisor over those accounts. How do you work with other professionals, like my CPA and attorney? We believe clients are best served through a team approach. While we do not provide legal or tax advice, we coordinate with other professionals to maximize the benefits from the expertise each professional provides. Upon written authorization from our client, we will coordinate with other professionals at our client’s request. 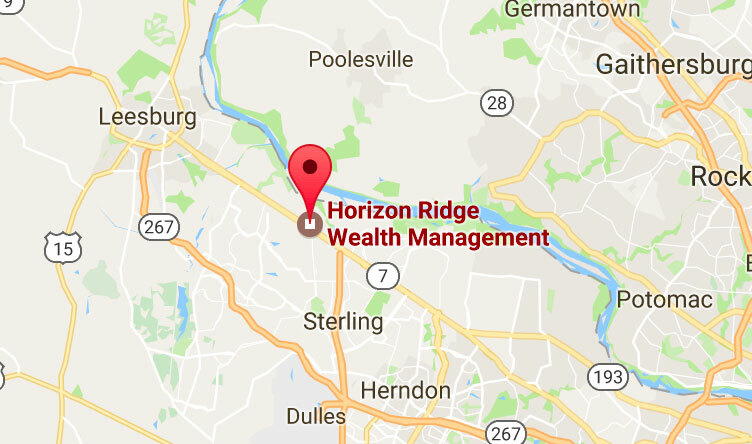 Does Horizon Ridge Wealth Management accept referral fees? What is a Chartered Special Needs Consultant? Per the American College of Financial Services, ChSNC® designees are equipped with the specialized skills needed to help parents and caregivers plan for the future with honesty, ethics and compassion. A ChSNC® can navigate the unique considerations, estate planning, special needs trusts, life insurance, tax deductions, healthcare issues, Medicaid complexities, and the emotional aspects of providing for a loved one with a disability.